If you’ve been following my blog closely over the past few months, you may have noticed many Origins products have been getting a mention recently. After years of struggling with terrible skin I decided to stop trying to find a high street product that will save me, and decided to delve into the world of high end. Many high end counters scare me, but my local Origins counter has been beyond helpful, which is probably the reason I keep going back to buy more products…. It all started with the Never A Dull Moment Cleanser which really helped to clear up my skin. I was getting along with it so well that I decided to check out their exfoilator. Normally I can’t justify spending £25 on an exfoilator unless I heard it would be life changing and my skin would never look better without it. But my local Origins counter assistant was so lovely and understood why I didn’t want to part with £25 of my money straight away and gave me a sample of it to use that lasted me a few days. After a few days of trying out this sample I decided that yes, I did need this in my life. 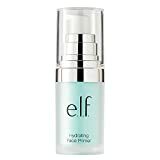 I couldn’t understand what this exfoilator could do to my skin that others couldn’t, but it worked so well for my skin. It was instantly looking radiant, and my dry patches were gone, leaving me with soft smooth skin. I have very sensitive skin and normally exfoilators can irritate my skin, but this didn’t. I found it to be quite soft, so it might not be able to exfoilate as hard as the name suggests. When it comes to the price I know £25 does seem pretty steep, but I’ve been using this most days for the past 4 months and you only need the tiniest bit, so I see this lasting me a while. Once again Origins, you’ve amazed me with your products! Remember you can always keep up with my blog posts through Bloglovin‘ or my Facebook page!